Kathy Guy, Vice President of Management Services, JBG Smith, is responsible for the overall operation of approximately three million square feet of JBG Smith’s assets in DC. She joined the company in May 2007 and has over 25 years of experience in property management. Kathy manages to juggle this day job with her role as a “model AOBA member” who dives into multiple AOBA programs with gusto! She is former TOBY Awards judge and a current KEEP Awards judge. 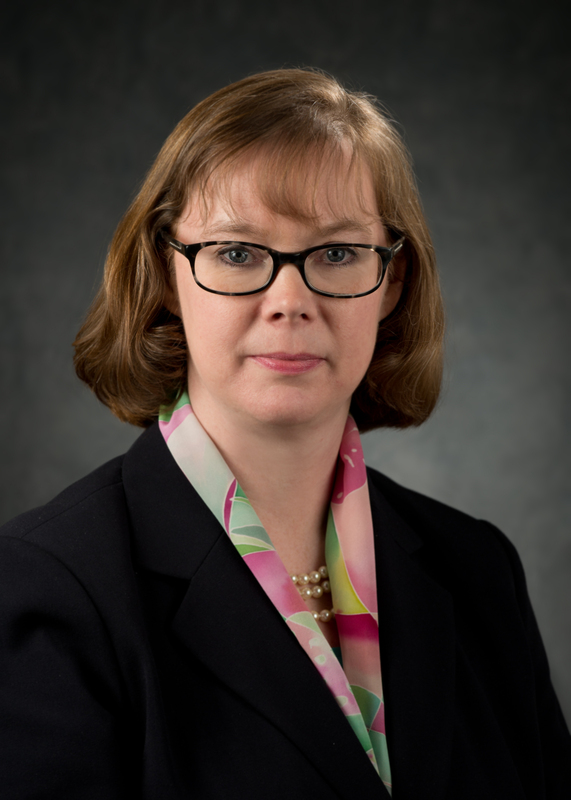 She serves as an active member of the Emergency Preparedness Committee AND the Engineering Talent Task Force. This year, Kathy also served as a TOBY judge at the Mid-Atlantic and International levels. What drew you to the property management industry? When I moved to DC after college, my first job was as a receptionist at a local DC real estate firm. I loved the interaction with the residential tenants who would come in each month and pay their rent – with cash! (That was a long time ago.) Property management is such a great career and I enjoy all aspects of the profession. What do you see as a key challenge facing our commercial building industry? Creating a technologically savvy workforce. As an industry, we must face the challenge of how to build and retain a workforce that can manage the assets (physical, financial, construction, capital, etc.) while providing a superior customer experience AND perfecting the use of changing technology. It’s no longer enough to have management and engineering staff members who are customer service focused and technically proficient -- although that is critical. The 24/7 nature of life means that we – as an industry - need to be inventive and creative about the ways that our tenants and our staff work and provide technology that supports their work. For example, we all have systems in place that can send a message to an entire building population in seconds in an emergency or to remind everyone of the ice cream social. Building equipment sends out SOS messages to engineers at all hours. We can remotely shut down building systems from miles away. The innovative delivery of service to tenants using all methods possible and having the trained, qualified staff to do it is crucial to our success. New technology and programs are being offered daily and companies need to determine what platforms provide the most benefit so we can adopt and then seamlessly train our staff to support our tenants. Finding ways to constantly update, train and reward our staff for the complex work they do is so important and creating pathways to property management and engineering as a career is vital -- which is why I am thrilled to be part of the Engineering Talent Task Force. What’s a key trend that you see on the horizon? I am thrilled to see that the idea of creating community rather than tenanting a building has taken hold and believe that this will only grow in the future. It is no longer enough to provide a great work environment within a single building – tenants are looking for much more. They want to live, work and play in the same location. Workspaces have changed to reflect this trend -- including more open workspace and areas for collaboration and impromptu meetings. So buildings need to change as well. Our industry needs to be looking at whether our buildings are welcoming and inviting while balancing the need/ desire for security. How does retail work -- is it an integral part of the experience? Can your tenants and their coworkers pop up to the rooftop terrace for a meeting instead of staying in the office? Is there an opportunity to collaborate over fitness equipment or as part of a midday jogging group? Community matters – at work and at home. At JBGS, we think of it as providing a thriving ecosystem for residential and office tenants. I enjoy volunteering and of course love spending time with my family – immediate and extended. I am an avid reader and am happiest curled up on the couch with a good book.